46: Troubled Land: Pakistan/Iraq: Peter Tobia, photographer, photojournalist. 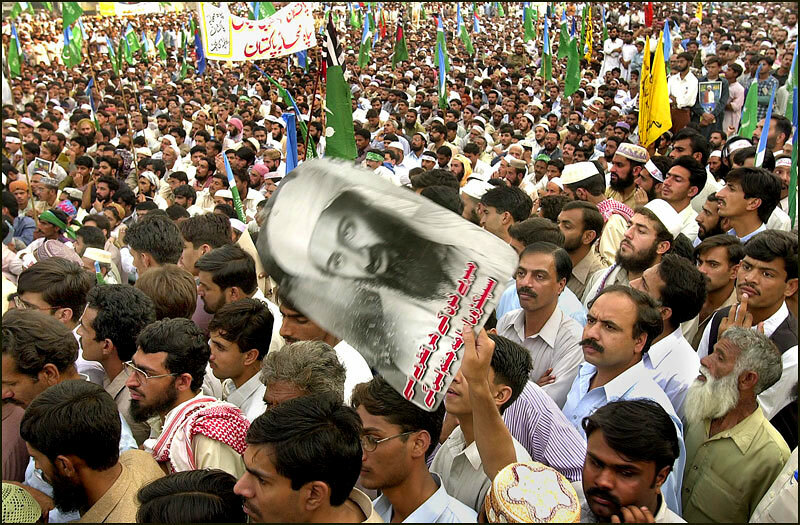 Thousands of demonstrators praise Osama bin Laden during a protest in Rawalpindi. Gen. Pervez Musharraf, Pakistan's president, strongly backed the U.S. attacks on Afghanistan and said civil unrest in his country could be easily controlled.